When you push that button for your commercial garage door, you expect it to open every time. Why should you expect anything less from the company that installed it? In fact, Ole & Lena’s Garage Door Service goes one step further. 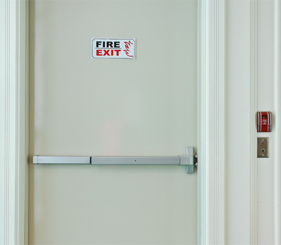 If it won’t open, your crews can’t get out to do their job. When you’re trying to keep a tight schedule and satisfy your customers, even a short delay can throw off your day. Don’t stress when your commercial garage door won’t open, simply give O&L Door Systems a call and we’ll send out a technician as quickly as possible to get your door open and get you back to business. If it won’t close, your equipment isn’t protected. Day and night, you count on a solid, properly functioning industrial overhead door to keep your vehicles, equipment and materials safe. Weather it’s theft or damage from the elements, any losses hit your bottom line directly. 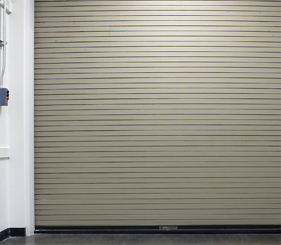 We can help make sure your commercial garage doors are protecting your building at all time. If it is working intermittently or malfunctioning, you could have a safety hazard on your hands. Larger, heavier and often faster than residential garage doors, industrial overhead doors need to be serviced by trained professionals like our technicians here at O&L Door Systems. It can be tempting to try to make an adjustment on your own when something goes wrong, but always remember: safety first. You can avoid complications like this when you have a dedicated service that takes care of your garage doors and helps you maintain high performance with your business. 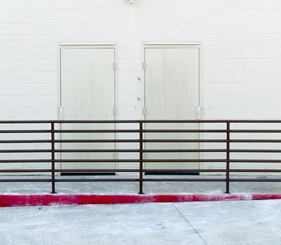 Now you can get a high-quality garage door that you know will serve your business for years. 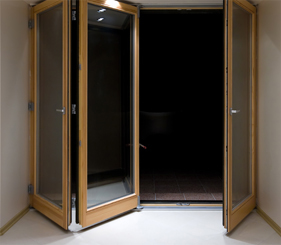 Go ahead and take a quick look at some of our most popular doors right now. You can give us a call or send us an email, and we’ll answer any questions you might have. 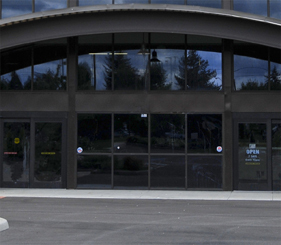 We can schedule a service appointment for your current doors, or plan a meeting to discuss new commercial door installation. We have been faithfully servicing the Bloomington, Minnesota, area for years. 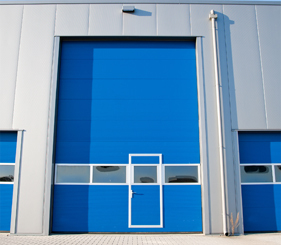 You might even know of businesses in your area with O&L Door Systems industrial and commercial overhead doors. Ask around, and you’re sure to learn about our trusted reputation and fast response when our customers are in need. That’s how we’ve built a trusting relationship with our customers, and how we hope to build one with you and your business. You might be surprised to learn that many of our commercial customers are also our residential customers. 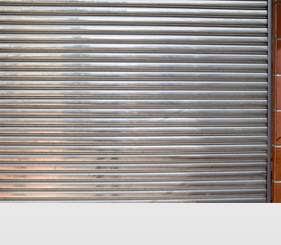 We can take care of all of your garage door needs, for your home, business or warehouse. 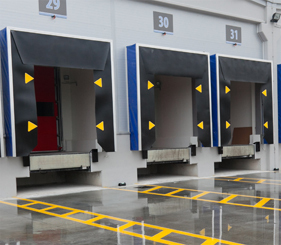 We look forward to hearing from you, and showing you our large lineup of commercial door systems, including warehouse doors, truck docks, four-fold doors, bi-fold doors, coiling doors, fire doors, high-speed doors and entry doors. We really do offer the greatest choice in and around Bloomington. Feel free to browse our site right now and when you are ready to reach out, contact us via the contact form, or call us at (612) 623-1817. We look forward to speaking with you!